The Power Analyzer electrical line monitoring system provides detailed power quality and energy consumption information for connected devices. Cloud based analytics and easy to understand dashboard gauges require no advanced training or expertise. Historical trends identify changing usage patterns, damaging power anomalies, and compare energy consumption between devices. Power Analyzer electrical line monitoring system predicts the health of electrical motors and components, and provides detailed energy consumption information for connected devices. Power Analyzer is used by many manufacturing operations and facilities management as a predictive maintenance tool. The system is used in the energy services industry as a guide to understanding and optimizing electrical power consumption. Power Analyzer measures and analyzes voltage and current on all three phases, power factor, active power and energy, reactive power and energy, voltage and current total harmonic distortion, neutral imbalance as well as sag/swell event detection. Unlike other power monitoring devices taking manual on-spot measurements, Power Analyzer is typically permanently connected to a device, to provide for constant monitoring. The clip-on toroid sensors are easily attached to the input power line and constantly monitor the supply line. Sensor data is transmitted by the on-board Prophecy Datahub via WiFi or Ethernet to a local router and to Prophecy’s cloud infrastructure. Every manufacturer has electrical issues. These issues can, and will, affect productivity, machine performance and electrical costs. As in the past, most plant engineers, plant managers and maintenance managers tend to focus on mechanical issues often because they simply don’t understand electrical issues, or how to diagnose them. When machines break down the typical response is to have expensive instrumentation and highly paid consultants come to the plant to figure out what’s going on. As a result, most plant managers just avoid diagnosing the real problem and instead just swap out mechanical or electrical components or motors that have failed, or reset PLC units that have dumped their programs. In other words, they implement the easy and expensive quick fix, but not the right solution. Studies show that plant management teams don’t always understand electrical issues because most of them are not versed on internal electrical distribution issues including areas such as power factor, harmonics, swells, and sags . This can easily lead to inefficient factory productivity and performance because, quite honestly, there is a knowledge gap on how to effectively measure, understand and act upon electrical factors in the plant. MachineSense, and our proprietary Power Analyzer technology, is designed to capture, interpret and diagnose relevant data obtained from electrical components and internal power distribution. MachineSense products are specifically designed to help diagnose everyday electrical issues and present them factually in a way that can be easily understood by plant management regardless of any electrical engineering experience on electrical components and related issues. MachineSenseTM Power Analyzer toroids are placed directly on incoming power lines to automatically monitor power conditions and detect power anomalies. The sensor data transmits through a self-contained data hub directly to your router and onto cloud-based servers running powerful analytic software. Results are then transmitted from the server to either a desktop or user friendly app where you will view power conditions with helpful advice to correct power anomalies. The growing line of MachineSense Power Analyzers has been designed for many industrial electrical applications—to help identify key electrical issues and possible pricing concerns as well as to help identify looming failure issues in motors, drives and heaters. In the past, looking for power quality issues has typically only been a last resort because most plant management personnel are not fully educated in electrical issues. However, research has shown that many equipment issues are founded on electrical power quality problems. Instead of making power quality a review of last resort, it should be used as a first survey by most process manufacturers. Poor power quality shows up in many ways and can absolutely affect the performance of machine controls which are essentially computers nowadays. In addition, it can affect the performance and life of components such as heaters and motors. A recent survey indicated that US businesses lost a staggering $188 billion a year just because of internal power quality issues that are often not diagnosed or misdiagnosed and happen again and again and again. Most industrial factories in the US were set up long before the age of computerization, computer controls and sophisticated variable frequency drives. Electrical building contractors designed facilities without thinking that computers would be on every desk, let alone every machine controller. Furthermore, they designed only for motors running at their design speed and lighting that emitted low harmonic output. All of this led electrical contractors and electrical engineers in the past to have little reason to be concerned about harmonics, transients and other power factor issues. As a result, internal plant power is often a major undiagnosed problem that constrains productivity, increases utility charges and often causes electrical or computer failures. For example, most plant personnel assume that motor failures are the fault of the motor or the machinery supplier and just replace the motor. However, the vast majority of motor failures are due to power quality problems. Most industrial power usage is inductive in nature, such as motors, transformers, and induction furnaces. All these need a magnetic field to operate. Inductive loads use two types of power including working power (kW) which is used to actually do the work of creating heat, motion, machine output. Also required is reactive power (kVAR) which is needed to sustain the magnetic field. Working power and reactive power together make up the apparent power which is measured in kilovolt-amperes (kVA). Power factor is the ratio of working power to apparent power. It signals how effectively electrical power is being used. A high ratio or power factor shows efficient use of electrical power. A low ratio shows poor utilization. Low power factor means you are not properly utilizing the power you are paying for. Low power factor usually is created by inductive loads within electric motors, transformers, arc welders, HVAC systems, molding equipment, extruders, presses and high intensity discharge lighting (fluorescent). MachineSense can identify power factors for individual machines or for an internal distribution line. Since utilities often charge a penalty in their bills to customers with poor power factor, this information can help identify power factor problems and ultimately reduce your energy bill—paying for MachineSense quickly and easily. Low power factor means not only are you paying too much for electricity, but also significantly compromising your electrical efficiency. Being able to measure power factor is a key initial step to understanding your plant’s electrical system. In the past, most industrial facilities could assume that the power received from the electrical utility was generally a pure sinusoidal waveform (good harmonics) and was considered clean power. However, today more and more industrial plants are finding that they have the problem of “dirty power” of conditions where voltage/current variations of the pure waveform are transient and cause distortions in power quality. In industrial plants, most of the harmonic distortions are self-induced often because of increased usage of variable frequency drives, power supplies and other components that use solid-state switching. Because harmonic distortions can be caused by internal plant components as well as neighboring facilities, it is crucial to understand the harmonics within your facility. Harmonic distortion disrupts plants. Results include blown fuses, reduced capacitor life, reduced motor life, inability to operate to full motor load, reduced transformer life, and lost downtime through overloads tripping and logic faults in machine controllers. MachineSense will record and detect harmonic distortions (measuring true-rms value as well as the instantaneous peak value of the wave peak. In this way you can identify and track ongoing distortions that are occurring throughout your facility and then the various identified problems can be addressed. The advantage of MachineSense is that it can record these issues over a prolonged period since harmonic issues are often repeatable but may not occur during periods of measurement by short duration power meters. Previous generation electrical power loggers often had limited memory and scope—as well as not being intuitive in the display of information for non-electrical plant management personnel. A sag is a reduction of AC voltage for a duration of .5 cycles to 1 minute of time. Sags are usually the result of heavy load startups. Typical causes of sags include starting up of large equipment such as large motors or HVAC units that might be connected to the same internal power distribution line in the facility. For example, a motor can draw up to 6x normal running current during startup. This type of sudden load will obviously impact the rest of the circuit that the large equipment resides on. You sometimes see this in your house when someone plugs in an iron and the impact it has on the lights. Sags are the foremost power quality problem encountered in Industrial applications because they frequently cause the interruption of manufacturing processes, which can result in a significant economic loss due to rejected products . To resolve these problems, industrial consumers often install voltage sag compensators in critical industrial applications. However, these compensating techniques are expensive and at a time ineffective if not designed with proper understanding of the nature of the Sag. The transformer, which is usually mounted in front of the critical load, is likely to be exposed to voltage Sag. As a result, when the compensator reinstates the load voltage, a serious magnitude of transient current begins to flow toward the sensitive load. This inrush current can either damage the equipment or activate the protection devices. In either case, the compensation will eventually fail. MachineSense Power Analyzer tracks both sag and Inrush currents. Industrial operators should be able to monitor both Sag and Inrush current to make sure, neither is affecting their production line. This under-voltage condition often known by others as a “brownout” condition can create overheating of electrical motors and can also ultimately cause failure of computer power supplies or other electronic equipment including PLCs, robots, as well as servo and VFD drives. MachineSense identifies these sags or under voltages so you can understand what’s happening within your electrical circuit so you can easily understand the components that are causing the condition—and rectify the problem. Swells or over-voltages is the reverse of a sag and has increased AC voltage for a duration of .5 cycles to 1 minute of time. Much like sags, the condition is hard to detect without effective instrumentation—so the problem is typically ignored or not diagnosed. Typically it is caused by sudden large load reductions and a single-phase fault on a three phase system as well as a loose neutral. Typically the results of the swell show up as data errors, flickering lights, electrical contact degradation, semiconductor damage and insulation damage—all of which can be catastrophic results in the plant. As opposed to sags, swells can actually destroy electronic equipment and drives. MachineSense identifies these surges or overvoltages so you can understand what’s happening within your electrical circuit so you can easily understand the components that are causing the condition—and rectify the problem. Energy costs are increasing and often are one of the most significant controllable costs in a manufacturing facility. In addition to identifying power factor penalties, MachineSense can record power usage so you can effectively understand the power usage of components or circuits within your facility and then take energy-saving steps as warranted. One of the biggest advantages of MachineSense Power Analyzers is that it is easily to install and easy to understand the readouts. In addition, the power analyzer can record power usage and other conditions over an extended period of time as many fluctuating power conditions are random events that can’t be adequately shown over a day or two period. There is a very high usage of power converters in the modern power system because of their high efficiency. Solid state drives are extensively used in the modern industries (Textile, Extrusion in Plastic) for flexible control of power and to reduce the power loss. Unfortunately, solid state drives produce different types of power quality (PQ) problem. Waveform distortion, particularly harmonics generated by power converter is one of the PQ issues that affect the power system operation. These converter systems generate not only characteristic harmonics but also non characteristics harmonics like inter harmonics. Electrosense measures all kinds of harmonics and current imbalance and if harmonics crosses a threshold amount, it sends SMS/Email alerts to the stake holders. Power factor compensation and harmonic suppression are two important issues in industrial plants because of installation of huge number of inductive loads such as electric motors and non-linear power electronic devices that produce harmonic disturbances. Harmonics in industrial plants can shorten the equipment’s life and cause transformer overheating, motor failures, fuse blowing, capacitor failures, and malfunction of control systems. In heavy duty plants, the low power factor has commonly been compensated by installing medium and low voltage capacitor banks which also help customers avoiding penalties to the utility, reducing extra losses in transformers, overhead lines and cables. However banks of capacitors and Industrial inductors when placed together can create a lot of undesired frequencies due to resonance which have been learned to be harmful. That’s why optimization of configuration and values of capacitor banks is of utmost importance so that resulting configuration of inductors and capacitance don’t result in undesired frequencies. This can be automatically discovered from harmonics levels and Electrosense provides the total harmonics distortion information automatically with a SMS/Email alarm system. Electric submersible pumps (ESP) are used in a wide-range of applications from onshore to complex offshore, deep water, or subsea applications. Premature failures during well drilling can lead to high financial loss. It is also well known additional harmonics currents are generated when the ESPs near failure threshold. MachineSense Power Analyzer can detect ESP failures ahead of time. It is also reported, due to overworking of these Pumps during drilling, 10% of the pumps die much before finishing their assigned task in the field. MotorSense can send SMS/email much before ESP pumps develop its fatigue and thus prevents unplanned failure in field which may disrupt production. Data center evolved to become large power consumers. Its supporting infrastructure, such as cooling and power distribution, consumes resources e.g. electric power. Power conditioning and cooling systems constitute largest proportion of Opex for any data center. Therefore, the efficiency of cooling system and power quality are extremely important. There are several designs of cooling and power efficiency but given the infinite permutation of possibility of optimization techniques, Data centers need EnergySense to track several Energy optimization techniques in play at different part of their center and select the best possibility. In addition, if some of the techniques fail to work effectively over the time, EnergySense data can help them sorting out easily as a large of number of EnergySense can be deployed to track the different parts and systems of the Datacenter. BioTech and pharmaceuticals production is guided by the Federal Drug Administration (FDA) regulations which demand high level of product excellence. High power quality is indispensable in the pursuit of the level demanded by the FDA. Poor power quality and related disturbances can lead to reducing the quality standard and loss of production. Pumps, mixers and motors have to run flawlessly to ensure that the ingredients are mixed in the correct proportions and in the case of capsules, filled properly. Pills cannot be misshapen and high-speed packaging lines must run smoothly. Any glitch in the power quality can result in production losses and even lawsuits. Power Analyzers can be placed at strategic points in the factory to diagnose and record a wide variety of electrical characteristics and automatically report issues to the factory managers or stake holders via SMS and email so corrective actions can be taken. In recent years, microgrid technologies have captured global interests among governments, industries, and academic institutions due to their potential benefits in improving energy efficiency and reliability, and reducing carbon emissions. A microgrid system should be a single controllable entity that operates in both grid-connected and standalone modes of operation. The total generation capacity, operational capabilities, and network boundary of a microgrid system can vary, depending on types of loads. Microgrid systems have been built on university campuses, military installations, and other industrial sites, for supporting both demonstration and mission-critical activities. One of the primary operational challenges in a building microgrid is associated with power quality management when the microgrid is in standalone operation. Due to the small generation capacity, the physical operating characteristics of building equipment and appliances can considerably affect the microgrid voltage, current, and frequency, and result in harmful harmonic distortions. Therefore, the device operating characteristics must be adequately modeled in both the fast time scales associated with local controls and the longer time scales relevant to energy scheduling. EnergySense cloud provides load/current/harmonics/energy data of the microgrid with easy interface for studying them off-line and real time. There is a very high usage of power converters in the modern power system because of their high efficiency. Solid state drives are extensively used in industries like textile plastic extrusion for flexible control of power and to reduce the power loss. Unfortunately, solid state drives produce different types of power quality problems. Waveform distortion, particularly harmonics generated by power converters is one of the power quality issues that affect the power system operation. These converter systems generate not only characteristic harmonics but also non- characteristic harmonics like inter harmonics. Power Analyzer measures all kinds of harmonics and current imbalance and if harmonics cross a threshold amount, it sends SMS/Email alerts to the stake holders. Refrigeration constitutes 20-50% of the operating cost of the food processing Industry. Effective refrigeration or energy efficient cooling is done via 3 major optimizations – thermal shielding, convection of cool air flow and using energy efficient compressors so that least amount of heat is generated. To track effective cooling, one needs to track ambient temperature in all areas of the room and energy efficiency of its cooling compressor. Less efficient compressor will dissipate heat and thus will make system less efficient. Therefore effective tracking of cold storage will need a MachineSense for tracking temperature of cold storage and EnergySense for monitoring compressors for its energy efficiency. Power factor compensation and harmonic suppression are two important issues in industrial plants because of the installation of a huge number of inductive loads such as electric motors and non-linear power electronic devices that produce harmonic disturbances. Harmonics can shorten the life of industrial equipment and cause transformer overheating, motor failures, fuse blowing, capacitor failures, and malfunction of control systems. In heavy industry plants, an attempt to compensate for low power factor has commonly resulted in installation of medium and low voltage capacitor banks which also help customers avoid penalties from the utility, reducing extra losses in transformers, overhead lines and cables. However, banks of capacitors and industrial inductors, when placed together, can create a lot of undesired frequencies due to resonance. That’s why optimization of configuration and values of capacitor banks is of utmost importance. This can be automatically discovered from harmonics levels and Power Analyzer provides the total harmonics distortion information automatically with a SMS/Email alarm system. Drying reduces the water content of a product or material. There are various kinds of industrial drying- for example spray drying is particularly used in the dairy industry to increase the shelf-life of a product as well as reduce the cost of transportation. The main challenge in controlling the dryer is to minimize energy (hot air) to bring the residual moisture in the material below the recommended level. Drying accounts for a large proportion of energy bill in the plastic and dairy industry. Now, since several optimization techniques are known for efficiently re-using the hot air for regeneration, it is important to track heat regeneration process for energy efficiency. 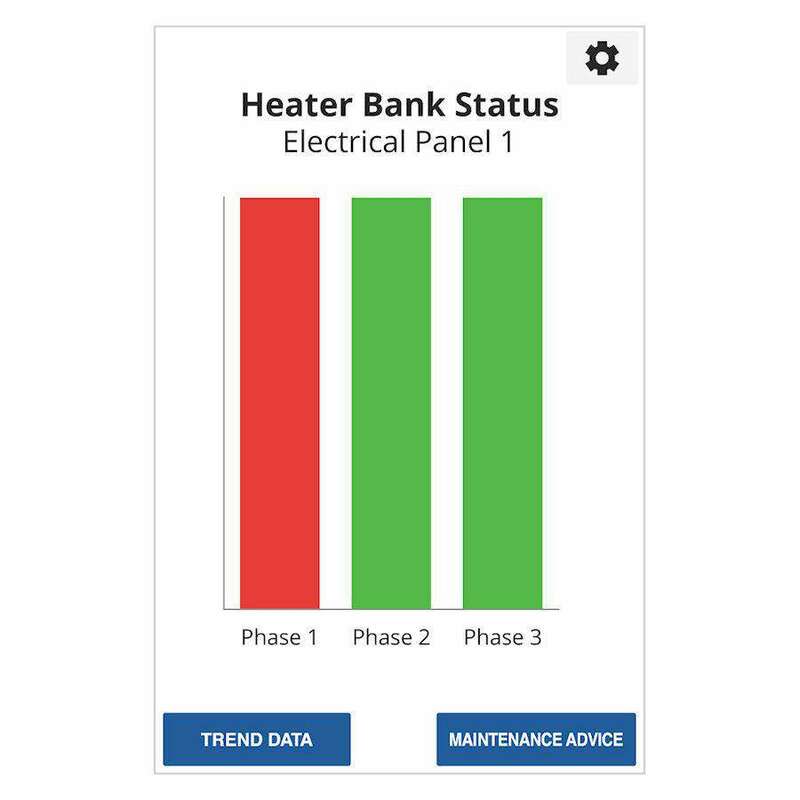 Dryers can use all the variants of the Power Analyzer analytics packages - EnergySense, MotorSense (tracking the failure of the blower) and HeaterSense (tracking the failure of the heating elements) for predictive maintenance and increasing energy efficiency. Chemical processing plants need an uninterrupted, high quality, power supply for every part of the process. For example, in hydrocarbon processing, production starts with cracking; the breakdown of large hydrocarbon chains into smaller ones. High pressure steam is superheated, and several general pumps are used to bring water and reactants to the furnace. If a pump fails, the flow of substances in the process will be disturbed. MachineSense Vacuum Pump Analyzer is recommended for such applications. The quencher pump is important to refill the water reservoir of the quencher. The quencher prevents the products from further reaction after the proper temperature has been reached in the furnace or reactor. Long interruptions will lead to unscheduled process downtime, damaging the system. During scheduled downtime, steam is used to de-coke and clean the lines of the furnace to improve reaction efficiency and yield. A five-stage compression process is generally used to dry and compress the products to be separated. During the third stage, the acid gas scrubber uses a pump to spray the gas with a caustic wash, under high pressure, to remove any carbon dioxide and Sulphur. Finally, the dried cracked gas is put through a complex separation process. If a pump or compressor failure occurs, the separation process is affected and the product purity is significantly reduced while lowering the efficiency of the entire process. Thus, in all stages in a refinery plant, pumps play a critical role, failure of which will damage the downstream production. Failure of most of these pumps is caused by higher harmonics and imbalanced powerline fed to those pumps. The Component Analyer can monitor the health of the pumps and compressors 24x7 and any potential risk of the pump or compressor failure will be alarmed. Meanwhile, Power Analyzer can monitor harmonics and line imbalance so you can take corrective actions to minimize damage to these mission-critical pumps. Energy IEC 62052-11, IEC 62053-21 n/a ± 2%, - under steady loads. MachineSense wants you to be completely satisfied with your purchase. However, if you are unsatisfied, you can return your product within 60 days of purchase. Contact us at 443-457-1165 to start the return process. MachineSense offers COMPREHENSIVE PRODUCT WARRANTIES on all of our equipment. We warrant each MachineSense manufactured product to be free from defects in materials and workmanship, under normal use and service for the periods listed under “Warranty Periods”. The obligation of MachineSense, under this warranty, is limited to repairing or furnishing, without charge, a similar part to replace any part which fails under normal use due to a material or workmanship defect, within its respective warranty period. It is the purchaser’s responsibility to provide MachineSense with immediate written notice of any such suspected defect. Warranted replacement parts are billed and shipped freight pre-paid. The purchaser must return the suspect defective part, freight prepaid and with identifying documentation to receive full credit for the part returned. MachineSense shall not be held liable for damages or delay caused by defects. No allowance will be made for repairs or alterations without the written consent or approval of MachineSense. The provisions in equipment specifications are descriptive, unless expressly stated as warranties. The liability of MachineSense to the purchaser, except as to title, arising out of the supplying of the said equipment, or its use, whether based upon warranty, contract or negligence, shall not in any case exceed the cost of correcting defects in the equipment as herein provided. All such liability shall terminate upon the expiration of said warranty periods. MachineSense shall not in any event be held liable for any special, indirect or consequential damages. Commodities not manufactured by MachineSense are warranted and guaranteed to MachineSense by the original manufacturer and then only to the extent that Novatec is able to enforce such warranty or guaranty. MachineSense has not authorized anyone to make any warranty or representation other than the warranty contained here. Non-payment of invoice beyond 90 days will invalidate the warranty. 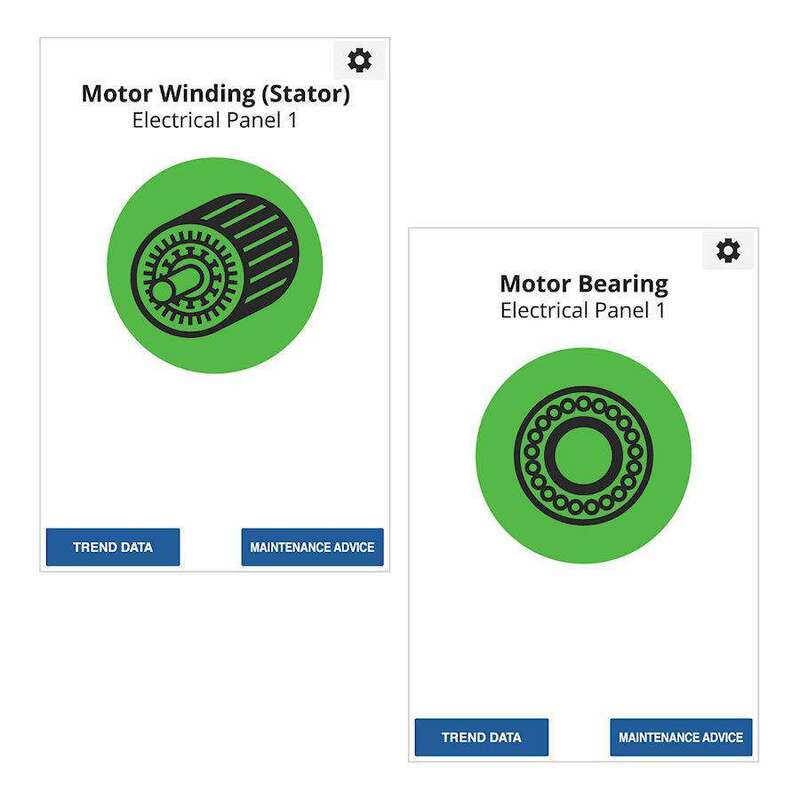 A renewed warranty can be purchased directly from MachineSense. Please note that we always strive to satisfy our customers in whatever manner is deemed most expedient to overcome any issues in connection with our equipment. Repaired or altered without written approval of MachineSense unless such repair or alteration was, in our judgment, not responsible for the failure. Which has been subject to misuse, negligence, accident or incorrect wiring by others. Warranty is void if processing rates exceed manufacturer-recommended levels or if damage is caused by ineffective power isolation and/or power spikes/sags or incorrect installation. We are not a very large operation, so we were looking for something dependable and affordable that would help us to diagnose our problem. Your system seemed to be just what we were looking for and at a surprisingly reasonable cost. We were pleasantly surprised to find that the MachineSense Power Analyzer system provides much more information than we originally anticipated, such as power usage and cost to run each machine. Having the live information and the history available on a wireless mobile device is a big advantage as we can monitor the machine from anywhere and at anytime. Due to the ease of hookup, the power analyzer was easily adaptable to suit our purpose. Overall, this is a very good product that will help us to monitor our equipment to make sure it is always operating at peak efficiency. The Power Analyzer is designed to be simple and easy to understand, taking into account the fact that a scant few processors have electrical engineers on staff. I’m getting very high-level data presented in a very simple way.